EcoATM has snagged $14.4 million from Coinstar and other investors to bring dead-phone and device recycling to a gas station or grocery store near you. Recycling old electronics is often just enough of a hassle to keep dead phones and iPods lingering in junk drawers for years on end. 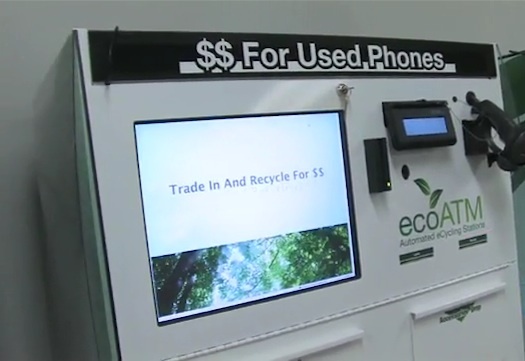 EcoATM, a company that makes electronics recycling kiosks, wants to change that. And now the startup has received $14.4 million in a Series A funding round led by Coinstar and Claremont Creek Ventures to bring its kiosks to a gas station or supermarket near you. cost, potential return, etc, of eBay or other online methods. So far, EcoATM only has kiosks in 11 locations throughout the U.S., including the Nebraska Furniture Mart in Omaha, Microsoft’s corporate campus in Redmond, Wash., and the Westfield Horton Plaza shopping mall in San Diego, Calif. The new cash infusion will allow the company to better identify and assess electronic devices deposited into kiosks–and to spread the kiosks to even more locations. to work,” said Chairman and CEO Tom Tullie in a statement. EcoATM claims that it has already collected thousands of cell phones, laptops, digital cameras, GPS systems, and more in its existing kiosks. If the company can keep that momentum going with a larger rollout, it has the potential to become the go-to spot to ditch dead devices.